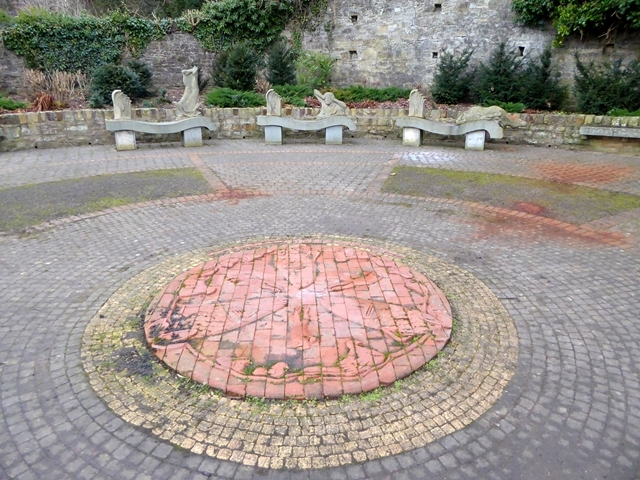 This public space was developed on the site of the old Barnard Castle gasworks which were finally demolished in the 1990s. The area is next to the site of the conjectured Roman bridge over the River Tees. The design of the mosaic is based on ideas by primary school children in Bowes; the seats were carved by local sculptor Keith Alexander.